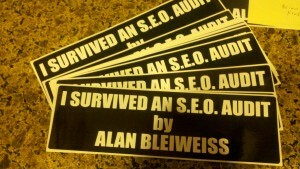 Alan Bleiweiss has been helping sites since the mid-1990’s figure out where they’re going wrong by providing best-in-class forensic SEO audits. 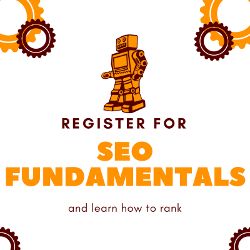 He is a sought after speaker at SEO confrences all over the world and a regular contributor to industry sites like Search Engine Journal and Search Marketing Wisdom. Alan joined us via Google Hangout from beautiful Santa Monica, California. 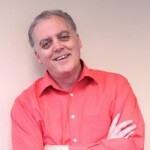 Jaimie Sirovich is a search marketing consultant at SEO Egghead. Officially, he is a computer programmer, but he enjoys search marketing and user experience even more. At present, Jaimie is focused on helping clients sell everywhere and achieve multi-channel integration with major Web sites such as eBay, Amazon, and even Craigslist. 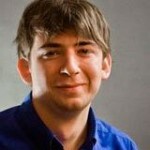 He is the author of Search Engine Optimization With PHP. Jaimie also joined us via Google HOA from New York City(ish). 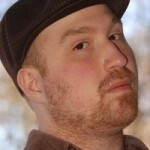 Carter Cole is a senior application developer at Virante Search Marketing. Carter’s latest claim to fame is his SEO Site Tools extension for Chrome that is being used by about 100,000 people and getting kudos from SEOmoz, Search Engine Journal and KISSmetrics. Carter was live on site with me and 100+ people who braved the wet and windy winter weather to listen to some Technical SEO talk. 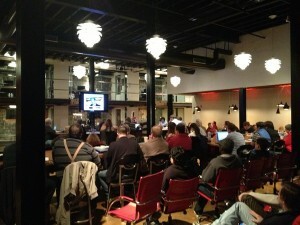 Great crowd filling up Centerline Digital’s meeting area. One of the highlight’s of this month’s event was the awesome venue we got to use. Centerline Digital is a content marketing agency located in the heart of Raleigh with a passion for resolving complex communications challenges with strategic and creative digital content. The are also really good at creating an amazing workspace for their employees and the occasional SEO Meetup that stops in. I won’t lie, we started a little late due to trying to iron out some technical difficulties but once we were underway the information that was shared was priceless. Alan covered a lot of important subjects that can sometimes be overlooked. Some that I saw a lot of note taking during was the impact CSS stylesheets can have on site speed and how sending conflicting signals to Google can cause confusion. Jaimie jumped right into his passion, faceted search. Although there was a fair amount of confusion on the face of non-developers in attendance, the depth that Jaimie went into was exactly what developers needed to hear. Explaining the pros and cons of faceted search and how to make it work for you. He also talked about Content Delivery Networks and how those can be both a blessing and a curse (depending on the day). Carter stepped up to finish off the evening and had the additional task of answering questions that had come in during the event via chat. I bumbled around a bit but finally got Carter’s slides up on screen where he touched on soft-404’s, redirect chains and indexation. What followed was a series of good questions from the crowd and lots of great networking after the event. One of the biggest laughs of the nights was when Alan shared the bumper stickers he gives out to his clients. If you would like to watch the Technical SEO Meetup, it was saved to YouTube and is available below. Thank you to Nikol Murphy from Talking Moose Media for taking care of the event details like cameras, microphones and getting the Google Hangout set up and running. Without her none of this would have been nearly as cool.